“Do you want to do a deal with me? Just say the word! A year from now, all your customers will have gone over to me, and you can take all your fine…corals back to the seabed they came from. So, will you come in with me or not?”—Jeno Lakatos, the rival coral seller, to Nissen Piczenik. This ti ny book, closer to a short story than to a novella, was the last piece of fiction by author Joseph Roth (1894 – 1939), and was published posthumously in 1940. As such, it becomes a particularly poignant study of Roth’s last days as he waited for the death he knew was coming. Born in Galicia, at the junction of Ukraine, Poland, and Czechoslovakia, Roth left home to attend college in Vienna, then served in the Austro-Hungarian army during World War I, later mourning the loss of the Habsburg Empire and all it represented. Moving to Berlin, he began writing as a journalist and working on fiction, reaching what many consider the apex of his career with the publication of The Radetzky March in 1932, a generational family saga, full of the pomp, pageantry, color, and military maneuverings during the last days of the Habsburgs. As a Jew, Roth was never completely comfortable in any of the cities in which he was living and working over the years, and he never really settled down, sometimes living in Paris and sometimes in Berlin. The day that Hitler became Reich Chancellor in January, 1933, however, Roth left Berlin for Paris, never to return–and never to receive full recognition—or his earnings–for the The Radetzky March, which had just been published there. He continued working in journalism and by writing potboiler novels wherever he was living, but by his early forties, he was a serious and sick alcoholic, only rarely able to sustain the long-time concentration and commitment for longer novels. He died at age 45, a suicide by alcohol. 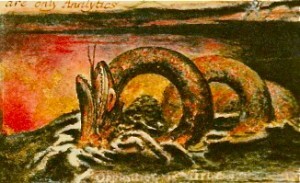 The Leviathan, his allegorical last story, features an observant but illiterate Jew, living in Progrody in the Ukraine, the premier dealer of coral jewelry for the farmers’ wives in the community and surrounding area. Nissen Piczenik respects his customers, entertains them when they come to town to see his wares, and offers good corals at good prices. For him the corals are “like roses for the capricious goddesses of the sea, as inexhaustible in their variety as the caprices of the goddesses.” Operating his shop from home, “he lives among the corals night and day, summer and winter, and…there [is] in his apartment a beautiful and mysterious twilight that [is] like the light under the sea.” For Nissen, the corals are animals who pretend to be plants to avoid being eaten by sharks, and he imagines that a coral’s biggest dream is to be plucked by a diver and “brought to the surface to be cut polished, and threaded…to be an ornament on a beautiful peasant woman.” Until the coming of the Messiah, Nissen believes, the corals will remain under the control of the Leviathan, the creature who lies curled on the seabed floor beside them. Nissen has never left Progrody and has always yearned to see the ocean where his corals live, and when a young sailor comes home on leave from Odessa, he persuades the sailor to take him back with him when returns to port. Thirsty for knowledge and completely bewitched by the magic of the ocean, he stays for three extra weeks, living the life of a sailor, drinking, whoring, and neglecting his religious duties before reluctantly returning home. 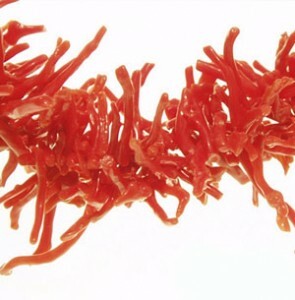 There he discovers that a new coral seller has set up shop in the next town, undercutting him in prices and leading his former customers to believe that Nissen has been cheating them. When he meets the new merchant, he finds that “Powerful and intoxicating scents emanated from him and one wondered what part of his frail body could possibly be home to all these scents. His hair was blackish-blue as night. And while his dark eyes appeared gentle enough, they glowed so powerfully that a strange redness appeared to flare up in the midst of all their blackness. Under his curled black mustaches, Lakatos had a set of dazzling white and smiling mouse teeth.” Nissen’s world dramatically changes as he comes to know this stranger, and one day he makes a fateful decision which changes the world as he knows it. 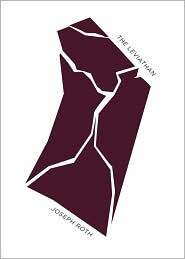 As can be seen from the quotations here, Joseph Roth is a fine writer of description, able to create a variety of moods and atmospheres as his narrative moves forward, full of tension and a sense of urgency. Though the story resembles an allegory for children, the themes and concepts he is illustrating are complex, and sometimes enigmatic. 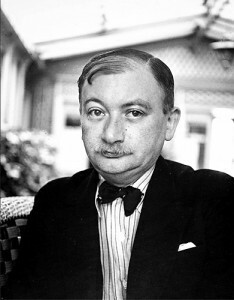 It is difficult for a reader not to substitute Joseph Roth for Nissen Piczenik, and the highly respected and literary books that a sober Roth had been able to write for the perfect corals of Nissen. The corals of the new seller Lakatos are greatly inferior, suggesting the potboilers that Roth sometimes wrote to make money, and the newspaper stories in which his talent did not fully shine. 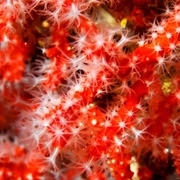 And just as Nissen feels out of place in a landlocked setting when he yearns for the sea, so, too, is Roth out of place, moving back and forth in France and Germany until Hitler takes over his homeland and ultimately leaves him permanently homeless–his Jewish culture, like the corals, under threat of extinction. The direct connections, if any, between free will, God, the devil, and chance are left to the reader to decide as the conclusion resolves the surface issues. Book club readers should have a field day discussing exactly what Nissen’s final actions connote—triumph or failure, a deliberate decision or a desperate impulse, a resolution or a resignation to fate. In the meantime, this touching, allegorical story gives insights into Roth’s final days and some of the issues which may have been haunting him. ALSO by Roth: THE RADETZKY MARCH, which is on my list of All-Time Favorites.